Thursday, November 16, 2017 at Maine Medical Center, Portland. ambitious attitude, there was no challenge that she would not accept. that she took. She will be deeply missed by her family and friends. several aunts, uncles, nieces, nephews and cousins. Forest Hill Cemetery, Dresden. A gathering will follow at Kayla's parents’ home in Bowdoinham. 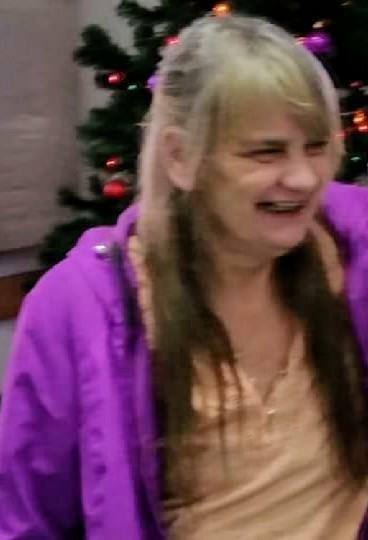 Arrangements are under the care of Kincer Funeral Home 130 Pleasant St.
CHINA - Kim Starr Main, 54, died on Oct. 26, 2017, at Maine Medical Center, Portland. She was born Nov. 29, 1962, the daughter of Barbara Maschino and Everett Main Sr.
Kim's number one priority was always family and keeping the family strong. She was a good friend to all and was very loving and accepting of others. She had a deep faith in God. Kim was an excellent cook and loved cooking for her kids and grandkids (especially the family recipe of spaghetti and meatballs). Her little Chihuahua mix, Buddy, always brought a smile to her face. She loved all the family pets. Over the years Kim enjoyed playing bingo with her mother, family and friends. Kim was a shining star, sharing her light and love generously with all who crossed her path. She was particularly fond of Toby Keith and his music. Kim worked as a CRMA for many years. Kim genuinely loved and cared for everyone she worked with. Patients often asked for her specifically to care for them. She also worked in the mental health field. Kim loved her job and taking care of others. She found her work very fulfilling and gratifying. Kim was predeceased by her father Everett P. Main Sr. She is survived by her children, Brandy Dickens and finance Stephen Lewis of Belgrade, Alex Soucy and wife Christina Soucy of China, Justin Main and finance Carissa Bergeron of Kennebunkport; her mother, Barbara Maschino, and stepfather Richard Maschino of Pittston; siblings, Everett (Butch) Main, Jr. of Bath, Cindy Lyford of Augusta, Auta Main and wife Marianne Roth of Gardiner, Randall Main and wife Louise Lamarque Main of Pittston, Melody Main and wife Brenda Greczkowski Adler of Hallowell, Kevin Main and wife Judy Wilson Main of Topsham, Tina Dewsnap and husband Arthur (Rusty) Dewsnap, III of Dresden and Kim Abbott and husband David Abbott of Gardiner. Kim is also, survived by seven grandchildren. Visiting hours will be Friday, Nov. 3, from 5 - 8 p.m. at Kincer Funeral Home, 130 Pleasant Street, Richmond. Funeral will be Saturday Nov. 4, at 11:00 a.m. at Kincer Funeral Home, 130 Pleasant St., Richmond. 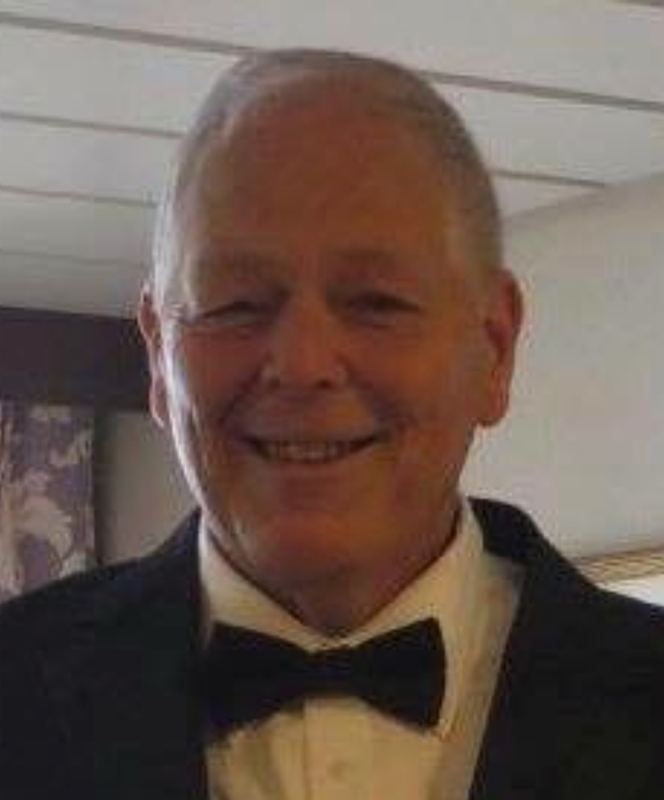 ance Lee Libby, 68, of Bowdoin, Maine, passed away unexpectedly of a heart attack at his home on November 8, 2017. Lance is survived by his wife Linda of 34 years, sons Scott, Matt, Jeff, Jared and John, siblings Coleen Corkum, Mark and Cindy Libby, grandchildren Alison Lavoie, Josh Moser, and Josh Libby. Lance was predeceased by his parents, Mavis and Kenneth Libby, and son, Brett. He will also be missed by great grandchildren, numerous brothers and sisters in law, nieces and nephews, extended family and close friends. 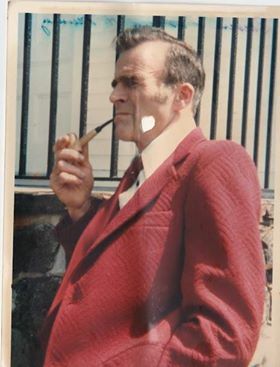 Lance was a lifelong educator who dedicated 47 years as an elementary school teacher in Bowdoinham and later a substitute in schools across MSAD 75. He absolutely loved working with students and was a supportive, kind and generous educator. Lance was a passionate gardener who would enjoy friendly competition with his sister-in-law on who would be first to harvest the early crops. Lance filled his yard with bluebird houses and bird feeders and took great joy seeing the various birds that would visit throughout the year. Like many Mainers, Lance was a loyal fan of the Boston Red Sox and the New England Patriots. He enjoyed taking trips to visit his son in Maryland to watch the Red Sox play the Baltimore Orioles or just to talk sports with family. After retirement, Lance and Linda used their time subbing in schools to fund camping excursions and trips around the world. Some of his favorite trips were as a chaperone for student trips to Europe, visiting his son in Lithuania, a family trip to China, a cruise around Norway, National Parks across the US and Canada, and spending some cold winter months in Florida. He so enjoyed visiting new places and experiencing the culture, nature, food and exploring new sights. Lance was an avid deer hunter and was hopeful as he spent his last day sitting in his son's deer blind. He spent many years teaching hunter safety to youths in Bowdoinham. He set up trail cameras around the property to keep track of the local deer population throughout the year. 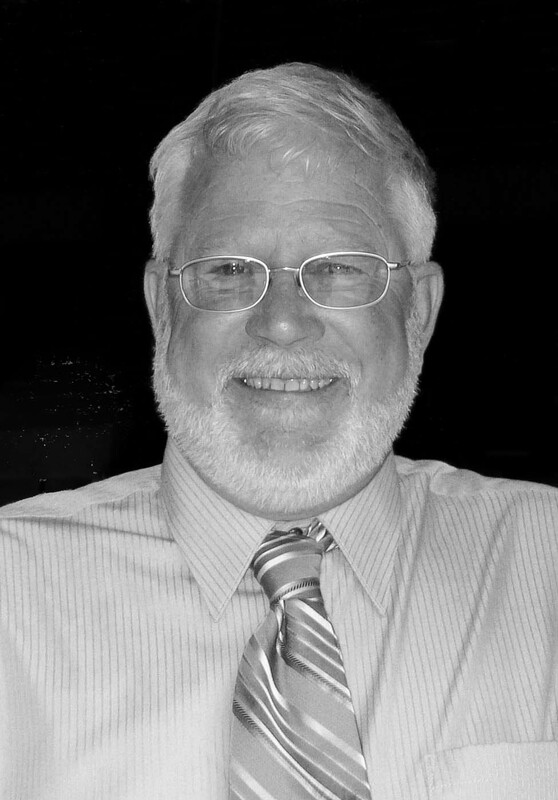 Those who knew Lance may remember him as an ambassador for Bowdoinham, a passionate historian, a fierce democrat who loved to talk politics, a champion for Mt. Ararat sports teams, and a devoted and caring family man. He was immensely proud of his family and was an incredible supporter of all his boys. He was a coach for many youth sports teams. He took his role as an educator to an extreme by imparting knowledge of plants, wildlife, home improvements tasks, and other life skills to his children and grandchildren. Lance is known by those closest to him as an incredibly hard worker. Lance would often be seen around the house cutting and splitting wood, gardening, or keeping up with the lawn or pool. Even when he was “relaxing”, Lance would stay busy with puzzles, cross words, and sudoku. A Celebration of Life is planned for Lance to be held at the Orion Performing Arts Center in Topsham on Saturday, November 25th at 1pm. If able, we encourage you to wear a wacky tie, Patriots or Red Sox gear, or your Hunters’ blaze orange in honor of Lance. In lieu of flowers, the family requests donations to the Brunswick Area Student Aid Fund so Lance can continue to give back to students of Mt. Ararat. 3, 2017 at the Freeport Nursing Home, surrounded by his loving family. Mesenzeff. After immigrating to the United States, his family eventually settled in Dresden Maine. He attended school and graduated from Bridge Academy in Dresden. Walter owned and operated Ring’s Hardware and a gas propane business in Richmond for many years where he was also happy to serve as a translator for the Russian community. He was a humble man with a quick wit and great sense of humor. He enjoyed helping his customers of whom many became lifetime friends. He most recently worked and retired from K&G Hardware in Richmond. Walter enjoyed fishing, watching the New England Patriots and Boston Celtics, going for country rides, and spending time with family. Walter was predeceased by his parents, a sister Valentina Mesenzeff, 4 other siblings and Son-in-law Gary Cummings. He is survived by his loving companion and fiancee Patricia Johansen of Richmond, daughters Lorica Cummings of Bath, Danita Mailloux and husband Arthur of Richmond, Julie Shields and husband Weldon Jr., of Richmond, Walter's son Jeff Mesenzeff and companion Brandy of Florida, step children Sherman, Stefan, Shawn, Scott, Shelia, brother Victor Mesenzeff and wife Ann of Ohio, 20 grandchildren, 12 great grandchildren, several nieces and nephews. Special thanks are extended to the staff at Freeport Nursing Home for their thoughtful and excellent care of Walter. A celebration of life will take place on Sunday, November 12, 2017, 2:00 at Kincer Funeral Home, Richmond. In lieu of flowers donations may be made to “Hospice” in care of Compassus, 23 Spring Street, Suite C, Scarborough, ME 04074. Bowdoinham – Bryan C. Pratt Sr., 74, of Bowdoinham passed away on November 3, 2017 at Central Maine Medical Center in Lewiston. For years Bryan worked as a painter for several painting companies. In 1979 he went to work for B.I.W. Bryan is survived by his wife of 43 years, Patricia (Leet) Pratt of Bowdoinham, his daughters; Joanne Caron of Minot, Amanda Jellison and her husband Dana of Brunswick, his sons; Bryan Pratt Jr and his wife Diane of Bowdoin and Robert Pratt and his wife Shannon of Pittston. Bryan is also survived by a brother Dale Pratt and his wife Carol of Poland as well as several grandchildren, great grandchildren, 3 nephews and a niece. Bryan was predeceased his parents Charles and Luelle (McPhearson) Pratt and a brother Benjamin Pratt. At Bryans request a graveside service will be held at the Litchfield Plains Cemetery on Saturday, November 18, 2017 at 1PM. Richmond-Sylvia May Averell, 74, passed away on November 4, 2017 with close family by her side. Sylvia was born on September 4th, 1943 to Myron and Gwendolyn Douglass also of Richmond. 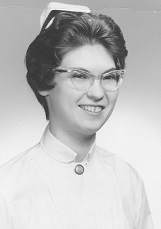 Sylvia was Valedictorian of Richmond High School 1961 and went on to be Valedictorian of her nursing class at Central Maine School of Nursing, in Lewiston. After working as a nurse at Gardiner General Hospital and Togus, she was best known for her 33 year career as Richmond’s school Nurse at the Marcia Buker and High School. Sylvia was married to Harold her husband of 53 years. Sylvia enjoyed knitting, crocheting, gardening, traveling, going to her grandchildren’s sporting events, baking, taking photos and most of all spending time with family and her closest friends Charlie and Chickee Tuttle. She is survived by her Loving Husband Harold Averell of Richmond; brother Edwin Douglass and his wife Roberta of Florida, and their children Nancy Hill and Phillip Douglass; several cousins, a great niece and nephew, and many friends; Sylvia and Harold’s three children, Son Mike Averell and wife Lisa of Richmond and their children Kristen, Timothy, Austin Wing, Ashley Wing and Brad Boivin; Daughter Sandy Snedeker and husband Bill of Richmond and their children Brian, Brianna, and Jennifer; Daughter Christy McAllaster and husband Pat, of Brunswick and their children Riley and Tiegan. Visiting hours will be Wednesday Nov. 8th from 1:30-3:30 at Kincer Funeral home in Richmond with a celebration of Life at 3:30. A gathering in her honor will follow at the Richmond Legion Post 132. Light refreshments will be provided and bringing a dish to share is encouraged. In lieu of flowers, donations may be made to the Sylvia Averell Scholarship Fund, c/o RHS Alumni Assoc, P.O. Box 55, Richmond, ME 04357-0055 or to the Isaac F. Umberhine Public Library, 86 Main St. Richmond, ME 04357. Pittston- Beverly Jean Martin, 81, of the Mast Rd. passed away Monday, October 23, 2017 at her residence, surrounded by family. She was born on January 27, 1936 in Portland, Maine, the daughter of Frank and Ethel Sanville. 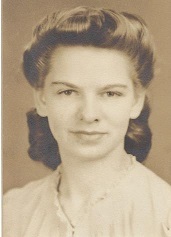 She graduated from Gardiner Area High School in 1954. Beverly worked many years for the National Bank of Gardiner. 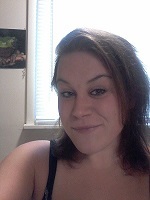 She also worked as a secretary for Maine Emergency Management in Augusta. Beverly was a longtime member of Queen Esther in Hallowell, Past Worthy Matron of the Olive Branch Chapter #156 Dresden, Red Hat Society of Randolph, Good Sam Club and the East Pittston United Methodist Church. She was predeceased by her parents, sister Irene Sands and husband Charles and her brother-in-law Arthur McGee. Beverly is survived by her husband of 63 years Ernest Martin, Sr. of East Pittston, her sister Shirley Pinkham and Husband Carlton of Fayette; her sister Barbara McGee of West Gardiner; her daughter Brenda Moody and Husband Horace of East Pittston; her daughter, Debra Martin of Nokomis, Florida; her son Ernest Martin, Jr. and wife Sharon of East Pittston. As well as, several grandchildren, great grandchildren, nieces, nephews and cousins. 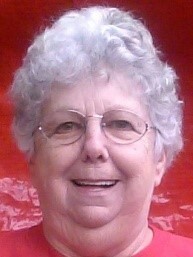 Following retirement Beverly enjoyed wintering with Ernest in Zephyrhills, Florida, camping trips, annual visits to the Fryeburg fair, numerous casino visits between Maine and Florida, watching her beloved Red Sox and most of all watching her family grow. In addition to family, Beverly will be missed by her many friends in Maine and Florida, who meant the world to her. The family would like to extend very special thank you’s: to Pastor Gayle Holden for her care of Beverly & Ernest. To Dr.Christine Lu-Emerson at Maine Medical Partners for her attention and care of Beverly. To MaineGeneral Hospice for their excellent care of Beverly and support of her family. At the family’s request there will be a private Committal Service and Queen Esther Memorial Service at a later date. Arrangements are under the care of Kincer Funeral Home; 130 Pleasant St. Richmond, ME 04357. In Beverly’s memory, donations may be made to the East Pittston United Methodist Church, 1083 East Pittston Road, Pittston, Maine 04345. Wiscasset-Paul H. Blagdon “Blaggy”, 58, of Wiscasset, passed away on Thursday, October 19, 2017 surrounded by loved ones. He was born on June 27, 1959 in Damariscotta, the son of Holbrook and Alice Blagdon. Paul grew up and attended school in Wiscasset. He could often be found with his lifelong friends David, Norm, Randy, and Leo. In high school, Paul met the love of his life, and wife, Bonnie. Together they made a home in Wiscasset where they raised their two sons, Corey and Josh. Paul was very proud of their family and cherished every moment spent with his sons, whether it be hunting, fishing, tubing on the lake, or going for snowmobile adventures. Paul would always welcome any visitors to his home. You could expect to see him sitting in his swing; ready to serve whatever he had available. Even if you had only planned on staying for a minute, you would end up staying for hours of laughs, delicious food, and a good drink. Paul's huge heart, and infectious smile, would draw everybody he met in, making everyone feel like family. Paul worked in the plumbing and heating industry his whole life. Many of those years were spent working for Redlon & Johnson and Sondik Supply, alongside his father-in-law, John. Paul loved all of his customers and was always willing to go out of his way for them, answering calls late at night or even out on the boat. Paul truly appreciated their business and friendship. Paul looked forward to his family's annual vacation at Damariscotta Lake. Since he was young, this is where Paul could be found on most summer days. He treasured his pontoon boat and was always willing to take anyone on long cruises around the lake. This summer Paul and Bonnie reached their lifelong dream, owning their own camp on Damariscotta Lake. The camp is Paul's legacy. He often would speak of how he wished for his grandchildren to grow up on the lake he loved so much. Paul was predeceased by his parents, Holbrook and Alice Blagdon, nephew Dean Verney, and brother-in-law James Verney. He is survived by his wife of 38 years, Bonnie Blagdon of Wiscasset, sons Corey Blagdon and wife Jenna of Wiscasset, Joshua Blagdon and wife Audrey of Alna, sister Linda Verney, niece Ann Perrello of Sheepscot, father and mother-in-law John and Gert Blagdon of Wiscasset, sister-in-law Wendy Williams and husband Mike of Woolwich, brother-in-laws Michael Blagdon and wife Michelle of Wiscasset and John Blagdon III of Windsor, grandchildren, Emmy, Holbrook, Llireva and Myrick as well as several close nieces and nephews. Family and friends are invited to a graveside service at Greenlawn Cemetery Rummerill Rd, Wiscasset at Saturday, October 28th at 11am. After, a public celebration of life to follow, will be held at the Wiscasset Community Center 242 Gardiner Rd from 1 to 3pm. Arrangements are under the care of Kincer Funeral Home 130 Pleasant St. Richmond, ME 04357. Dresden-Donald H. Munsey, 88, of the River Rd., passed away Sunday, October 15, 2017 at a local hospital in Brunswick. He was born on September 13, 1929 in Wiscasset the son of Wylie and Villa Munsey. Don proudly served his country in the United States Army, during the Korean war. He worked for Brunswick Transportation for many years. Don was a longtime member of the Orrs and Bailey Island fire department. He was also a longtime member of American Truck Historical Society and the Maine Obsolete Auto League. Don was predeceased by his parents. He is survived by his wife of 12 years Diane Savage of Dresden, son's John Smith and wife Donna of Walpole, Steve Smith and companion Jay of Dresden, Bill Munsey and wife Sharon of Richmond, Gary Munsey and wife Jan of Massachusetts, Jerry York and wife Terry of Orrs Island, daughters Lena Gage of Bath, Robin Whorff and husband Jim of West Bath, brother Lon Munsey and wife Rosie of New Zealand, 8 grandchildren, 12 great grandchildren and many special friends. Per Don's request there will be a gathering of family and friends at a later date. In Don's memory donations may be made to the Orrs and Bailey Island Fire Department or the American Legion Post 54 Wiscasset, Me 04578. Jerry Kiesow, 44 of Richmond died unexpectedly on September 30, 2017. Jerry was born on March 27, 1973 in Waterville, Maine. at the University of Maine at Augusta. Lopez of Gardiner, step-brother John Fuller of Randolph. He is preceded in death by his Mother Joyce Brenda Kiesow. A private service will be scheduled at a later date. Dresden-Beverly C. Reed, 90, of the Gardiner Rd. died on Monday, October 9, 2017 at her home with her family by her side. She was born on November 17, 1926 in Providence, Rhode Island the daughter of Harold and Marie Austin. Beverly was a hard worker, she was employed at Clarostat, Arrowhart and Sylvania just to name a few. She was an excellent mother to her children. Beverly enjoyed taking pictures, traveling, trips to the mountains and the ocean. Also, going out to eat at the Olive Garden, McDonald's, Taste of Maine and the Sea Basket. She was predeceased by her husband Elmer Reed and her sister Virginia Hudson. Beverly is survived by her son's Richard Reed and wife Leane of Readfield, Allen Reed and wife Barbara of Wiscasset, brothers Harold Austin and wife Nancy of Robinston, Walter Austin of Colorado, grandchildren Rick Reed and wife Mariam, Sheila Kimball, Jeramey Reed and wife Erin, Joshua Reed, Charlene Reed, great grandchildren Amanda Reed, Christian Reed, Allison Kimball, several nieces, nephews and cousins. A funeral service will take place on Saturday, October 14th at 11am at the funeral home, with burial to follow in the Forest Hill Cemetery, Dresden. 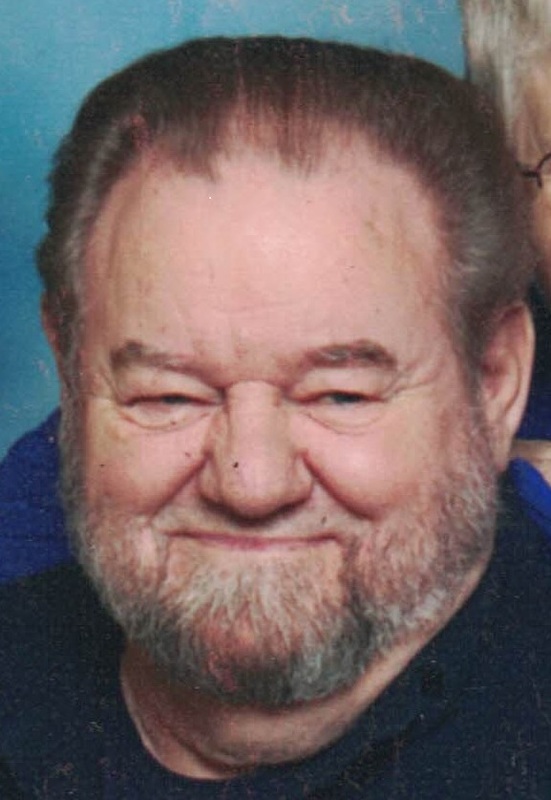 Millinockett - Clifford Edward Mortimer, 71, of Bowdoinham, unexpectedly passed on Monday night, October 2, in Millinocket. He was born September 20, 1946, son of Sarah and Ernest Parks and Harold Mortimer. Upon graduation in 1967 from Brunswick High School, Cliff proudly enlisted in the U.S. Marine Corps and served 13 months in the Vietnam War. He was honorably discharged in 1970 as a Sergeant. For 33 years, Cliff and his business partner, Roland Thibault, successfully owned M-T Pools, Inc. where his work ethic, integrity, belief in quality service, and providing job opportunities for many locals were well captured in their slogan, “everything but the water”. In 1988, he met his wife Bethany whom he later married at their favorite spot, Ebeemee Lake. Those who knew Cliff described him as “tough as nails with a marshmallow heart”. A patriot, a political debater, a storyteller. A man who worked hard every day to provide for his family for generations to come. He taught his girls how to get dirty, not fear snow, and as much as he tried, how to pick the right tool the first time he asked for it. An avid outdoorsman, he cherished his time spent with family and friends “upta camp” more than anything. Both witty and generous, he was the most loyal friend anyone could hope for. A true MacGyver, he could fix anything with duct tape and a pocket knife. He constructed three homes, a camp, and was involved in many other large projects for his friends. His family will never forget the many “hats” he wore. He is survived by his wife Bethany; children Kim Benjamin, Jamie and Geoff Houghton, Jessica and John Sullivan, and Elyzabeth and Daniel Quintero; grandchildren Morgan and Kyle Benjamin, Annabelle and Hazel Houghton, Olivia and Abigail Sullivan, Maxwell and Oscar Houghton, and Evelyn Quintero; sister Jan Gamache; and brother Ernest Parks, Jr. His heart was big and other important loved ones in his life included Ryan Belanger, Lindsay Caron, Carl and Florence Slattery, Bruce and Pat Slattery and daughter Katie, Ray Benjamin, and his beloved dog, Charlie. A celebration of life will be held on Sunday, October 8th from 1:00-3:00 pm at The Governor Hill Mansion located at 136 State Street in Augusta. In lieu of flowers, donations can be made to the Travis Mills Foundation.